Are you searching for your first apartment? Maybe you're considering whether you should move or stay in your current home. Is it time to renew your Springs luxury apartment lease and you’re exploring your options? We’d hate to see you leave! But whatever your situation is, budget is a major factor in your final decision. Will finding another place to live really save you money, or will many of the hidden costs eat away at your budget? Use our handy Springs rent calculator along with these tips to assess your finances and determine the costs of moving. When looking at apartments, you'll likely be asked to pay an application fee, which should be only enough to cover the cost of pulling your credit record and doing a background check. While the charge is relatively nominal, usually between $30 and $60, it can add up, so don't submit an application for an apartment unless it's a serious option. At a minimum, expect to pay first month's rent plus a refundable security deposit up front. This is generally standard protocol for apartment rentals, although some landlords may occasionally ask for last month's rent as well. Security deposits are often equal to one month's rent, but they can vary from one community to the next. A security deposit is paid against potential charges due to damage caused by a resident so, if you maintain your apartment properly, the deposit will be refunded in full upon move-out. Bringing Fido or Fluffy along? In almost all cases you'll be charged a pet deposit in addition to monthly pet "rent". Some landlords have begun charging a non-refundable move-in fee, which is theoretically designed to cover charges incurred by the transition from one tenant to another. In some cases a move-in fee can reduce the amount of the security deposit, but in others it's a profit center for the landlord, so use good judgment. Not to be overlooked are the costs of hiring a moving service, which can cost thousands of dollars. If you do it yourself, lost wages and used time off should also be added as a cost, as should packing materials, fuel, truck rental and meals for any friends helping out. While 30% of gross income is still the conventional yardstick for housing costs, think of it as a flexible guideline rather than a hard and fast rule. Factors such as location, family size and lifestyle can cause this number to fluctuate slightly up or down. Make sure you know the difference between gross income, which is the full amount of your wages, and net income, which is the amount in your paycheck after deductions. 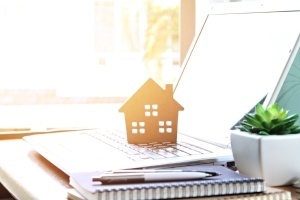 Landlords and lenders consider gross income when approving applications, but you may want to use net income in your calculations to allow some wiggle room. Don't stop with rent. Monthly costs include renters insurance, utilities, cable and internet, so these should all be included in the total amount. Many people also place a monetary value on the time it takes to organize a move. The myriad phone calls, waiting on service technicians, application processes, coordinating schedules and other factors could account for several days worth of effort (and your time is valuable). Luxury living doesn't have to be a dream. Our Springs apartment communities offer a full range of upscale features and amenities at an affordable price. Let our friendly onsite management team tell you more about the Springs difference.